Gemini’s technology is the industry’s fastest 100% SPICE accurate verification solution. Its ideal for mid– to high complexity analog and mixed-signal verification and replaces by drop-in older generation SPICE accurate and FastMOS simulators. Gemini’s technology is based on proprietary, patented and innovative improvements in core algorithmis used in analog simulation, specifically in the areas of partitioning, matrix solving and model evaluation. Gemini enhances its core technology by leveraging multi-core computing techniques with the industry’s most comprehensive multi-threaded implementation. 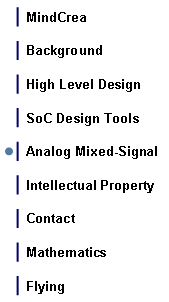 MunEDA provides leading EDA software technology for analysis, modelling and optimization of yield and performance of analog, mixed-signal and digital designs. MunEDAs products and solutions enable customers to reduce the design times of their circuits and to maximize robustness, reliability and yield. MunEDAs solutions are in industrial use by leading semiconductor companies in the areas of communication, computer, memories, automotive, and consumer electronics. MunEDA’s WiCkeDTM is a comprehensive and powerful software productive for interactive, manual, semi- and fully automatic analysis, sizing, design centering and yield optimization of analog and mixed-signal circuits. The Customers have done over one thousand tapeouts using WiCkeD. 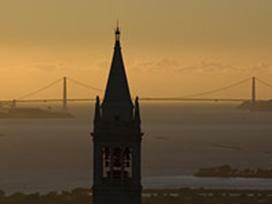 University of Berkeley, California, has been the cradle of developments in computer-aided analog simulation technology. Back in the late 1960’s professor Ronald Rohrer of U.C. Berkeley with his students developed CANCER for developing and analyzing circuits. Less than ten years later, after he had left U.C. Berkeley, CANCER was rewritten and re-named to SPICE (Simulation Program with Integrated Circuit Emphasis. Its later version, Spice 2G6 was freely available as Fortran source code, and compiled in then proliferating minicomputers to be used for early analysis of analog circuits everywhere in the electronics industry. Since then the program and especially component models have been developed very actively, and the use and reference of SPICE is getting more and more important when technologies scale through 65 to 45 to 32 nm. U.C Berkeley is still one of the foremost universities in the world electronics hardware design education.